ACKBAR ABBAS is a professor of comparative literature at the University of California, Irvine. Previously he was chair of the Department of Comparative Literature at the University of Hong Kong and also co-director of the Centre for the Study of Globalization and Cultures. His research interests include globalization, Hong Kong and Chinese culture, architecture, cinema, postcolonialism, and critical theory. His book Hong Kong: Culture and the Politics of Disappearance was published by the University of Minnesota Press in 1997. He currently serves as a contributing editor to Public Culture, an academic journal published by Duke University Press. HIBA BOU AKAR has just completed her doctorate in the Department of City and Regional Planning at UC Berkeley, USA. Her research focuses on the spatial practices of political parties and religious organizations in post-wars Beirut, and the implications of such urban processes on the changing geographies of the city. Hiba was trained as an architect at the American University of Beirut (AUB), Lebanon, and conducted her master’s studies in the Department of Urban Studies and Planning at the Massachusetts Institute of Technology (MIT), USA, where she wrote her master’s thesis on Displacement, Politics, and Governance: Access to Low-Income Housing in a Beirut Suburb (2005). KELLY GILLESPIE is senior lecturer and coordinator of post-graduate studies in Anthropology at University of the Witwatersrand, Johannesburg. She received her PhD in Anthropology, ‘Criminal Abstractions and the Post-apartheid Prison’, from the University of Chicago in 2007. Dr Gillespie’s research interests include criminal justice, legal anthropology, South African history, race, and sexuality. She has a strong commitment to social theory in all of her writing and teaching. 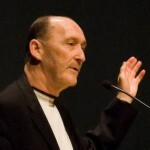 Dr Gillespie is a convener of the Johannesburg Workshop in Theory and Criticism, based at WISER. 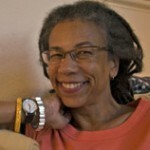 RUTH WILSON GILMORE is a professor of geography in the doctoral program in earth and environmental sciences at the CUNY Graduate School. 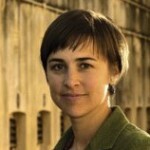 Known as an activist as well as an intellectual, she examined how political and economic forces produced California’s prison boom in Golden Gulag: Prisons, Surplus, Crisis, and Opposition in Globalizing California (University of California Press, 2007), which was recognized by ASA with its Lora Romero First Book Award. Gilmore’s wide-ranging research interests also include race and gender, labor and social movements, uneven development, and the African diaspora. Currently president of the American Studies Association (ASA)., she also works regularly with community groups and grassroots organizations and is known for the broad accessibility of her research. She holds a Ph.D. in economic geography and social theory from Rutgers University. GHASSAN HAGE is the Future Generation Professor of Anthropology and Social Theory at the University of Melbourne. He teaches and researches in the areas of globalization, migration, nationalism, racism and multiculturalism from a comparative perspective. His teaching and research emphasizes the importance of anthropology as a fieldwork based discipline that nonetheless deals with general philosophical questions about humans and their cultures. He is currently researching the transformation of political emotions in the process of migration and their role in the integration of Muslim Lebanese migrants in French, American and Australian societies. 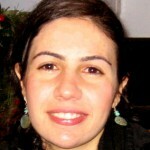 MONA HARB is an associate professor of urban planning and policy at the American University of Beirut. She is a political scientist and an urbanist. Her PhD dissertation analyzed the public action of political-religious groups in Lebanon, focusing on the urban and social service provision of Hezbollah in South Beirut, and led to a book entitled Le Hezbollah à Beyrouth (1985-2000): de la banlieue à la ville (2010). Her next research project explored the new leisure geographies of the Islamic milieu in South Beirut and their impacts on young people’s representations, spatial practices and experiences of the city-suburb nexus. This collaborative work with Lara Deeb also examined how ideas bout moral norms impact the reproduction of urban space, and led to a book manuscript now under review with Princeton University Press. Harb’s current research investigates local and regional governments’ practice of spatial planning and development in Lebanon. 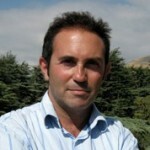 Harb has authored several book chapters with Routledge, Palgrave, Actes Sud, and La Découverte as well as journal articles and essays with Third World Quarterly, International Journal for Urban and Regional Research, Arab Studies Journal, Ethnos, Critique Internationale, Middle East Report and Genèses. She occasionally acts as an urban planning consultant for international organizations such as ESCWA, the World Bank, the European Union, UNDP and UN-Habitat. CHOUKRI HMED is an associate professor of political science at Paris Dauphine University. He holds a Ph.D. in political science from the Université Paris-I Sorbonne. 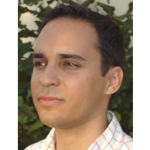 Since 2007, he has taught for the Stanford Program in Paris in the fields of history, political science and Arabic. Since 2009, he is Visiting Associate Professor at BOSP in History and International Relations, where he teaches a course on Colonization, Decolonization and Immigration in France. He is currently director of the Master, Social and Political Research, at the Paris University, Paris Dauphine, and associated researcher at the Institut de recherche interdisciplinaire en sciences sociales. His fields of research include: Tunisian revolution, revolutionary processes, public policies, history and sociology of immigration and colonization, social movements. He is currently doing fieldwork research on the topic of the genesis of the Tunisian revolution and the revolutionary process in Tunisia since December 2010. His most recent publication is “Si le peuple un jour aspire à vivre, le destin se doit de répondre. Apprendre à devenir révolutionnaire en Tunisie”, Les Temps modernes, No 664, 2011, p. 4-20. ZEINA MAASRI is an associate professor of graphic design at the American University of Beirut and a practicing independent graphic designer. 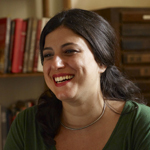 She has been conducting research since 2004 on the political posters of Lebanon’s civil war. She is the author of Off the Wall: Political Posters of the Lebanese Civil War (2009). She curated an exhibition of political posters entitled “Signs of Conflict” in 2008 within the context of Beirut’s 4th edition of Homeworks and as part of the 11th edition of the International Istanbul Biennial in 2009. Her broader areas of teaching and research include: the history and theory of graphic design, poster design history in the Arab world, and socially / politically engaged forms of design practices. JALA MAKHZOUMI is professor of landscape architecture, American University of Beirut. She pioneers an ecological landscape planning framework that mediates community needs with ecosystem health, biodiversity protection and landscape heritage conservation. She serves as landscape planning consultant to projects that include postwar recovery in Iraq and Lebanon, urban greening and landscape master plan development for the Damascus, Erbil, Najaf and Karbala. Among her publications is Ecological Landscape Design and Planning: the Mediterranean context, co-author Pungetti (Spon, 1999), The Right to Landscape, contesting landscape and human rights and co-edited Egoz and Pungetti (Ashgate, 2012). She is honorary fellow at the Cambridge Centre for Landscape and People, United Kingdom. SARAH NUTTALL is professor and interim chair of the Department of English at the University of Stellensbosch, and a visiting professor at Duke University. She was a South African Rhodes Scholar, received her doctorate from Oxford in 1994 and lectured in English at the University of Stellenbosch from 1997 to 2001. She was a visiting professor at the Institute for English and American Studies at the University of Salzburg, Austria, from March to June 2000, a visiting research fellow in the Department of African American Studies at the University of California, Berkeley, from January to March 2001, and a visiting professor in the Department of English and African American Studies at Yale University from September to December 2003. She is co-editor of Text, Theory, Space: Land, Literature and History in South Africa and Australia (1996); Negotiating the Past: The Making of Memory in South Africa (1998); and Senses of Culture: South African Culture Studies (2000), editor of Beauty and Ugliness: African and Diaspora Aesthetics (2004) and author of a forthcoming volume of essays on South African literatures. ABDOUMALIQ SIMONE is an urbanist and professor of sociology at Goldsmiths College, University of London, visiting professor at the African Centre for Cities, University of Cape Town, research associate with the Rujak Center for Urban Studies in Jakarta, and research fellow at the University of Tarumanagara. For three decades he has worked with practices of social interchange, cognition, local economy, and the constitution of power relations that affect how heterogeneous African cities are lived. In the past six years he has sought to re-examine some of these issues in urban Southeast Asia. He not only has acquired a substantial understanding of urban processes and change in Africa and Southeast Asia as a body of academic knowledge, but has worked on the concrete challenges of remaking municipal systems, training local government personnel, designing collaborative partnerships among technicians, residents, artists, and politicians.